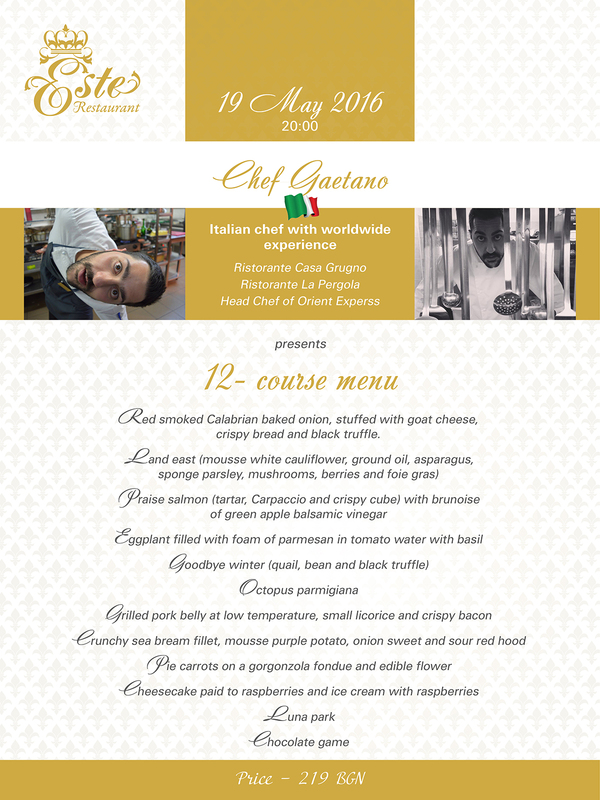 On May 19, we invite you to Este restaurant to enjoy the 12-course menu by chef Gaetano, who will be our guest chef! 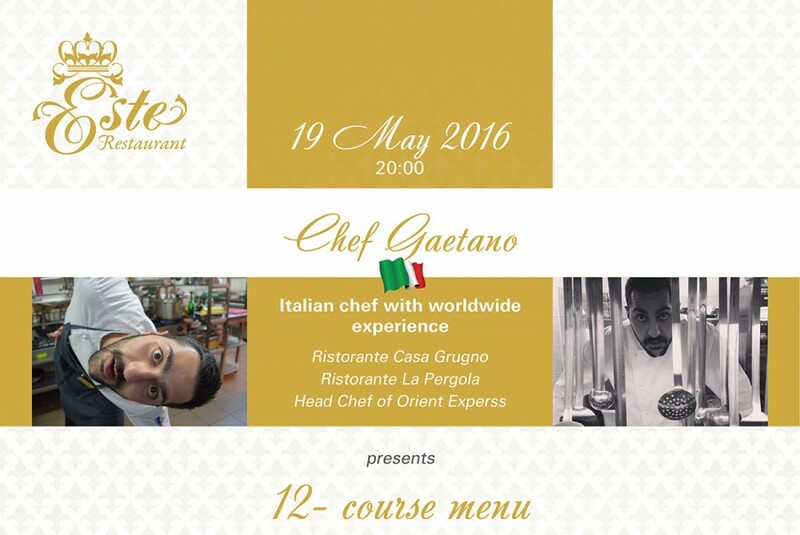 Chef Gaetano has experience from all around the world. Among the most famous restaurants he worked in are Ristorante Casa Grugno and Ristorante La Pergola. He was also head chef of Orient Express.